Acorn fed spanish pata negra iberian shoulder. 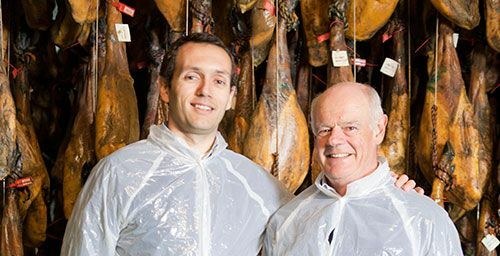 Buy online pata negra. Acorn-fed pata negra iberian shoulder made with genetically selected iberian pigs from Extremadura. Acorn-fed pata negra iberian shoulder made with genetically selected iberian pigs from Extremadura (50% iberian breed). 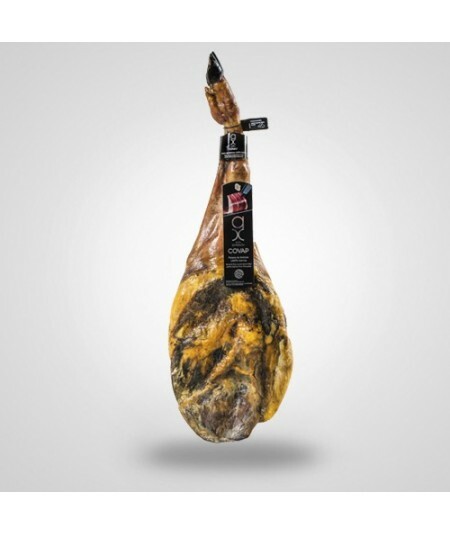 This Iberian shoulder is made in traditional way from genetically selected iberian pigs, 100% acorns fed, exercised in Extremadura fields, with infiltration of unsaturated fat due to acorn diet. Low salt content to enhance their own flavor and aromas.